Reports indicate that social networking giant Facebook has handed over information on Russia ad spending to Robert Mueller’s team. Mueller is the Special Counsel investigating Russian interference in the 2016 U.S. presidential election and possible collusion with the Trump campaign team. The information that Facebook provided to the Special Counsel included details of the purchases, targeting criteria employed to get to the voters as well as copies of the ads. Earlier in the month Facebook disclosed that $100,000 worth of advertising had been purchased in the course of the 2016 U.S. presidential election cycle and a few months after by phony accounts whose origins appeared to have been Russia. 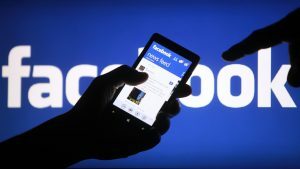 According to the Palo Alto, California-based social media giant, around 3,000 adverts that had connections with 470 accounts which were inauthentic went live on Facebook. It is understood that Facebook turned over the detailed information because a warrant had been issued. The policy of the social media company is to hand over information concerning an account only when a warrant has been presented. That a warrant was issued has led to the conclusion that the Special Counsel has obtained enough evidence that a crime took place and it took place on the Facebook platform. “He would have to sort of lay out evidence showing that this crime had occurred, not just merely say so, but records that he had obtained, testimony that had been given, or interviews that people gave,” Renato Mariotti, a former U.S. federal prosecutor, said in an interview with CBS News with regards to what Mueller had done to obtain the warrant. While testifying before Congress last week some representatives of Facebook revealed that they believed the fake accounts which were associated with the suspect ad buys possibly had links with a troll farm that is based in St. Petersburg, Russia. The troll farm is commonly known as Internet Research Agency and it has been associated with online propaganda campaigns that are pro-Kremlin. According to intelligence agencies in the United States, the troll farm is sponsored by people who have close ties to Russian President Vladimir Putin. The disclosure by Facebook about the Russian ad buys mark the first time the social media giant was admitting that the platform was used to sway voters during the 2016 U.S. presidential election. Previously Facebook had denied there was any such activity on its platform.